Wheel drop center engineered to reduce air volume, creating less pressure change as the tires heats up. The VictoryLock ATV front Beadlock wheel is constructed of a light weight heat treated 6061 hardened aluminum with rolled lip inner wheel technology adding superior strength to the inner half of the wheel. The Victory Lock ATV front wheel features a Carbon Fiber Beadlock Ring adding style & strength with a universal bolt pattern that fits all sport ATV makes & models, making it easier and more affordable to get out & go ride! 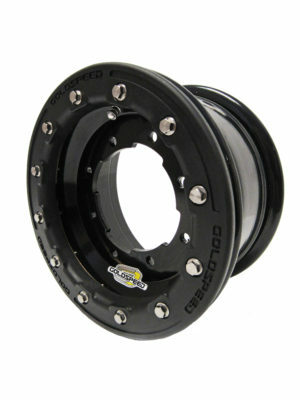 Same wheel used by many of the top GNCC Pro’s like Walker Fowler, Chris Borich, Johnny Gallagher and others.